Click the name of the script to create the template from. Click the Script menu. 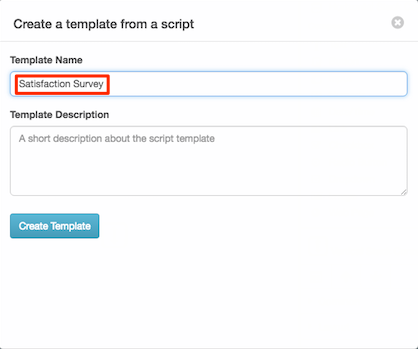 Then select Create Template Script.